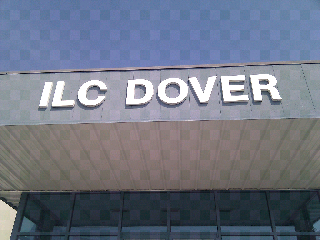 Yesterday we took a field trip to ILC Dover in Frederica Deleware. ILC makes envelopes for a number of airships including the Zeppelin NT. ILC was founded in 1937 and has a rich history. During WW2 they provided river rafts and flexible canteen liners among other things. But a project they are particularly proud of was their participation in the Apollo project. 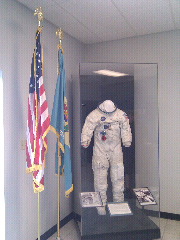 ILC bid and won the contract to provide the space suits used by our astronauts on that program and continues in that role today. Of particular interest to us, ILC makes envelopes for Airships and aerostats both military and commercial. We had a great tour and discussed our goals and opprtunities for the future. Special thanks go out to Tim and Gil, our hosts for the day. cassie and frank are awesome. props to them.